 First and foremost, New Hope Church is a group of Jesus followers. We are single, married, students, parents, grandparents, and great grandparents. We worship God with word and song (and sometimes that worship can be a little loud!). We are affiliated with the Lutheran Church - Missouri Synod. Click here for a brief summary of what that means. If you have specific questions about beliefs and practices here at New Hope, feel free to reach out to our Senior Pastor Jeff Prewitt. We have a few driving values that we think represent what we encourage within our New Hope family. Behind every set of eyes is a soul that matters to God. : At New Hope we believe behind every set of eyes we look into there is a soul that matters to God. When we look into a mirror we believe behind our eyes is a soul that matters to God. Jesus pursues every soul with a warm and relentless affection. In 1988 Jeff Prewitt was called to be the pastor at a mission church which was soon named New Hope Church. The word hope means to expect with confidence. New Hope Church is a place where you can expect with confidence that God is moving in the lives of His people and building His kingdom. New Hope Church opened the doors of a double-wide trailer for its first Worship. As Pastor Jeff looked out at his wife, three young children, and 15 or so church members, he could not even begin to dream of what God was going to do. One year later, New Hope Church expanded by adding a separate room to worship and a few years following that, New Hope Preschool began in 1991 with Pastor Jeff’s wife, Laurie as the teacher. New Hope Preschool was embraced by the community and began its legendary waiting list the second year of operation. In 1994, New Hope Church expanded its facility for a third time, adding a new Worship Center, offices and a commons area. Parents began years of requesting an expansion of the preschool into the elementary grades. In the fall of 1999 New Hope Kindergarten began, and an additional grade began every year thereafter. By the year 2000, the facility was completely filled, and the ministry was land locked on that site. The Prewitts and the people of New Hope Church actively prayed to reveal God’s plan for the growing church. Through significant sacrifice by the people of New Hope Church, the miracle on American Drive began.  In 2002, New Hope Church and New Hope Christian School moved into our current building. Just a few years ago, New Hope Church built out the mezzanine level of our building, creating the middle school, Crave lounge, and Café Liz. Virtually every corner of our facility is being used to grow God’s Kingdom. Everyday of the week, there is ministry happening in this place. During the school week, New Hope Christian School runs five full sessions of three and four-year-old preschool, 2 sessions of kindergarten, first, second, third, fourth, fifth, sixth, seventh, and eighth grade. This includes Physical Education, Art, Music, Library and Computer classes. Almost every day and night, New Hope Church hosts Bible studies and various ministries. Sunday morning has maxed out our current space – Connectionland, our children’s ministry uses the entire elementary level of the school. Connectionland Junior uses three rooms to accommodate all the infants and toddlers. Sunday afternoon and evening the C room is used for Confirmation Challenge, Core (our middle school youth group) and Crave (our high school youth group). God once again moved in His people and we completed another expansion of our building to provide a gymnasium. There have been so many lives that have been impacted by the ministries at New Hope Church. Behind every set of eyes is a soul that matters to God! This Summer, New Hope Church will celebrate its 30th anniversary. As we approach this milestone, we are looking to God to direct our future expansion. We are seeking to live our driving values and reach more souls that matter to God. We have dreams for ways New Hope can serve the greater Fox Valley community in Jesus' name. With this in mind, we completed a call this summer for a second pastor to join the New Hope team. Pastor Chris Decker was installed as New Hope's Associate Pastor on September 23rd, 2018. What does this mean for you? Most importantly, you're always welcome at New Hope Church. We're saving a seat for you. Wherever you're at in your faith journey, you'll always be accepted as part of the New Hope family. If you have questions about anything you've read on this page, we'd love to talk more. 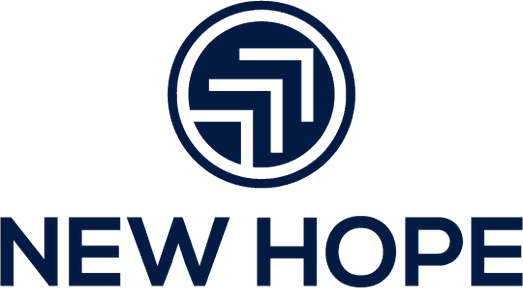 Click the button below to contact a member of the New Hope staff.